Many of the emergency calls I get are for water heater problems. Water Heater problems should be taken seriously from the start. If you watched the video, you’ve seen first hand what letting water heater repairs wait can cost. It can be as simple as a burned out heating element or as bad as a burst tank. A water heater comes in many sizes and models. There are tankless water heaters and traditional tank style water heaters. Water can be heated using a variety of fuels including solar, gas, electric, and fuel oil. In Durham the most popular are gas and electric. The size of a water heater can range from under 20 gallons to over 100 gallons. It is important to choose a tank that is large enough to handle all the tasks it needs to provide hot water for and to take into consideration the size of your family. Each person can add substantial usage and require a tank large enough to handle that additional hot water usage . Water heaters can come with a variety of user selectable modes such as a vacation mode. 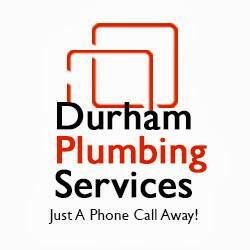 We are able to handle any call to repair or replace your Hot water heater Durham, Raleigh, Chapel Hill and surrounding areas are fully covered. around the tank it is a good idea to give us a call at (919) 672-1723. We can usually respond fast and quickly get you back to using safe and energy efficient hot water.